Network Rail has provided an update on the closure of the A49 at Onibury (see below). The work is on track and the line is expected to reopen at 6am next Monday, 10 July. Traffic is flowing well around the local diversions. Why a weight restriction is not in place on the B4365, I do not know. There are far too many HGVs going through Culmington, which should have been designated a light traffic route. There is obvious confusion about which divrsion route to take in both Craven Arms and Ludlow. 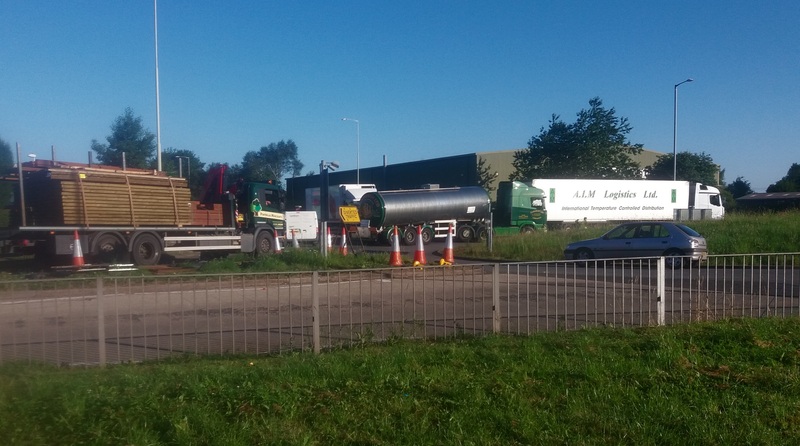 This morning a truck stopped on the Sheet Road roundabout to ask for directions. The driver spoke to three or four drivers, all the time blocking traffic. We are writing to provide you with an update on the safety-critical upgrade work ongoing at Onibury Level Crossing. Our orange army made good progress over the first weekend of the temporary closure of the crossing. 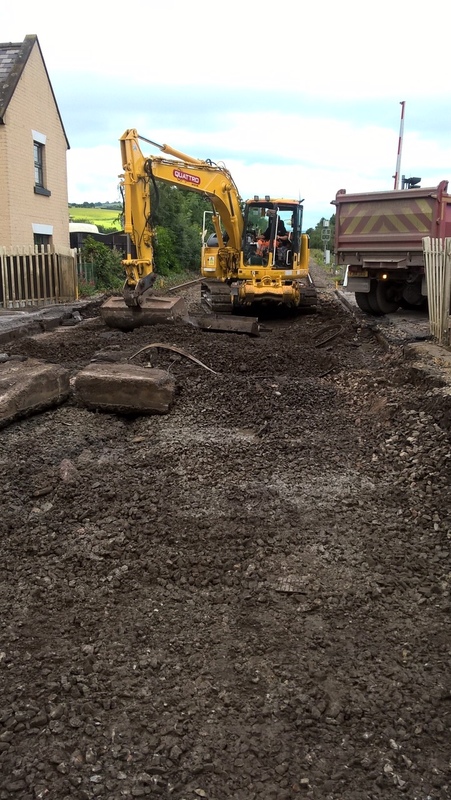 We removed the existing level crossing, road surface and excavated the foundations. 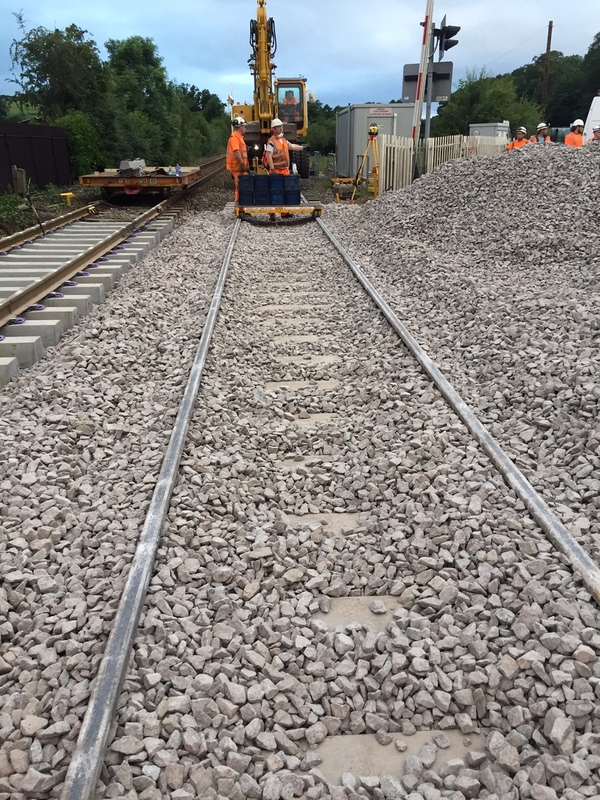 We also replaced the track sleepers and ballast and carried out ‘tamping’ a process which involves compressing the ballast and track utilising an On Track Machine. Please see attached a couple of images of the work that has already taken place. During the second weekend we will carry out further tamping to the track, install the level crossing panels, tarmac the road approaches on both sides of the crossing and paint the road markings. 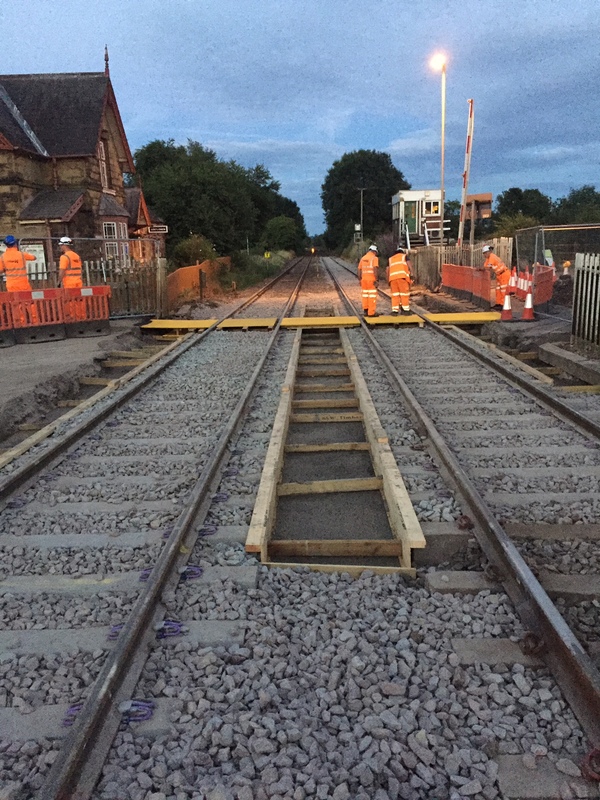 Onibury level crossing is on schedule to reopen to vehicles by 06.00 on Monday, July 10.